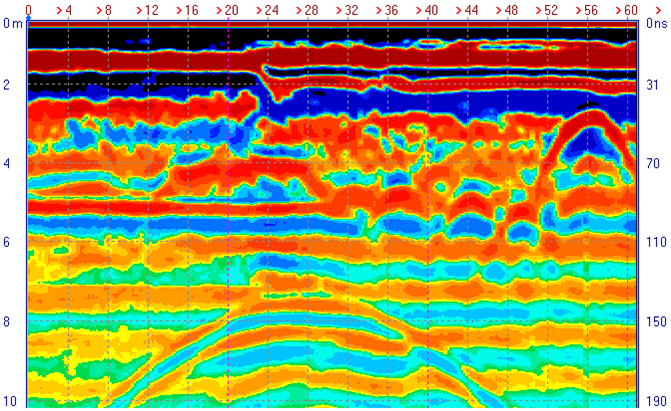 Ground penetrating radar ‘LOZA’ is an electromagnetic method used for near surface exploration. Every obstacle which has a permittivity different from the surrounding medium leads to reflection and scattering of the incident electromagnetic waves. 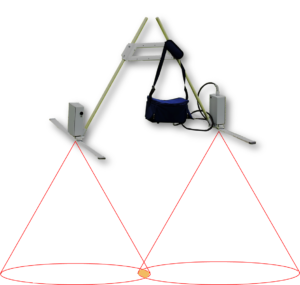 By moving the antenna over the ground every obstacle in the antenna beam produces a hyperbolic trace in the radargram. Georadar “LOZA” differs from other devices first and foremost the design of the device itself. The transmitter and receiver allows you to emit, receive and process radar signals to high power (> 1 MW), which makes it possible to work with a media with large absorption. Control unit stores a large amount of data on the built-in screen displays information in real time, allowing for a number of tasks on the site, without the need for additional processing of data on the computer. Low weight (10 kg), easy to maintain, well protected from unfavorable weather conditions. Based on the potential of GPR “Loza” (about 120 dB) and data on the electromagnetic signal attenuation in different media, we can estimate the possible depth sensing.